With our medical weight loss program most of our patients tell us that they are never really hungry because our appetite suppressant medications/weight loss pills work extremely well at curbing their appetite and cravings. But they do appreciate that they are able to eat delicious meals, snacks, treats and smoothies and still lose weight. In fact the weight loss medications and all of our delicious recipes have made my personal weight loss from 247 pounds down to 185 pounds very easy and enjoyable. Personally I find it difficult to tell people that I am on a diet when I’m able to eat chocolate Chip Brownies and cheesecake and still lose weight LOL. As weight loss doctors we consider it our responsibility to give you, in our opinion, the best weight loss and appetite suppressant medications but we also will provide you with recipes for delicious and tasty food that will help you lose weight more quickly. You will find these recipes on this website and also on our YouTube channel “Medical Weight Loss Philadelphia”. I have just uploaded our 275th recipe video to our YouTube channel. So not only do we give our patients what we consider the best weight loss medications possible but we also give you tons of recipes that will help you lose weight more quickly. If you are like me and like to snack these recipes are definitely for you. 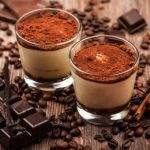 In this article I’m going to give you the recipes for some amazing weight loss smoothies that will get rid of your appetite and make you feel totally satisfied , I will also give you recipes for low-carb – low sugar brownies, cakes and cheesecake. I am even going to add to recipes for piecrust that are both low in carbohydrates and low in sugar. Place all of these ingredients into a blender and pulse until nice and smooth. If you are feeling very chocolatey you can use a square of dark chocolate that’s at least 85% dark chocolate and break this into tiny pieces and mixed it in your smoothie. Crack the eggs into a bowl and beat using a hand whisk. Then add the melted coconut oil or butter, xylitol, Stevia, cacao powder, coconut flour and almond flour, cinnamon, cream of tartar and baking soda. Mix everything well and pour the mixture into small ramekins. (break the square of dark chocolate into very tiny pieces and gently place them on top of the chocolate batter) then microwave for 60 – 90 seconds and you have a delicious low-carb chocolate muffin. Instead of using a microwave you can also bake them in an oven that is preheated 360°F for about 15 minutes. You can even top the muffin with full fat sour cream or whipped heavy cream. This recipe should make one muffin. * These recipes are from ketoditapp,com. They have a great app for low carb recipes. Now, first I am going to give you two awesome recipes for piecrust that are both low-carb and low sugar and then I will give you recipes for a yummy cheesecake, brownies and even a wonderful chocolate cake. Preheat your oven to 350°F. Using a food processor with the S-blade in place, grind almonds to a consistency similar to cornmeal. Add the protein powder and butter and pulse to combine everything. Then pour this into a pie plate and press firmly and evenly into place gently building it up around the sides. Bake this for approximately 12 – 15 minutes or until the edges are starting to brown lightly. Then remove from oven and let it cool. Preheat your oven to 325°F. Using the S-blade of your food processor grind almonds until they are the texture of cornmeal. Add in the Splenda and pulse to combine everything. Pour in the melted chocolate and then the melted butter and run the processor until everything is evenly distributed. Make sure that everything is combined nicely together. Then at the protein powder and pulse again to mix everything together. We are then going to pour this mixture into a 10 inch pie plate that you have coated with nonstick cooking spray press firmly and evenly into place and bake for approximately 8 minute. Allow this to cool before filling. eating it. You can also serve this with heavy whipped cream. 6 ounces of sugar-free chocolate chips or sugar-free dark chocolate bars chopped chocolate chip size – you can do this by hand or use a food processor. Preheat your oven to 350°F. Put the Splenda, protein powder, almond meal, cocoa, instant coffee crystals and salt in a food processor with the S-blade in place. Pulse to combine everything. Then add the butter and pulse until the butter is mixed in nicely with the dry ingredients. Pour everything into a bowl then mix in the eggs one at a time beating well with the whisk after each egg is added. Then beat in the water and finally stir in the chocolate chips or chopped up chocolate bars. Next spray and 8 x 8 inch pan with nonstick cooking spray and spread the batter evenly in the pan. Bake this for approximately 15 – 20 minutes but be sure not to over bake. Let it cool and then cut into squares. You can cut this into 25 small Brownies. Preheat the oven to 350°F. In a bowl combine your nuts, protein powder, cocoa, baking soda, Stevia and salt and stir them well together. You want to make sure that there were no lumps in this mixture. Then spray a 9 x 9 inch baking dish with nonstick cooking spray and place the mixture in it. Make two holes in this mixture for the coconut oil into one in the vinegar into the other in the water over top of the whole thing. Mix with the spoon or fork until everything is well combined and bake this for approximately 30 minutes. This cake is moist, delicious and fudgy it’s more like Brownies as compared to your regular layer cake. **These recipes are taken from the book 1001 Low-Carb Recipes written by Dana Carpender. It’s a great low carb cook book. So there you have it. Some wonderful recipes that are low in carbohydrates and very low in sugar. I have used these recipes myself and they have made my losing weight and keeping it off very easy. So I hope you enjoy these recipes as much as I do and that they make your weight loss journey easy and fun and of course delicious. If you need help with weight loss just call us for a free consultation. This entry was posted in Diet Doctors in Philadelphia, Medical Weight Loss, Medical Weight Loss Philadelphia, Weight Loss and tagged Appetite Suppressants, bensalem pa, bristol pa, bucks county pa, diet doctors, diet doctors in bucks county pa, diet pills, fairless hills pa, low carb recipes, medical weight loss, Medical Weight Loss Philadelphia, phentermine philadelphia, philadelphia, philadelphia diet doctors, philadelphia weight loss doctors, weight loss, Weight Loss Clinic, weight loss pills, weight loss tips recipes, weightloss pills philadelphia, willow grove pa on May 13, 2015 by Dr. Michael Kenny.